Sorry to see you go. There are three ways to uninstall Kami, depending on how you have installed it. Go to chrome://extensions/ and remove it by clicking the trash can. 2. 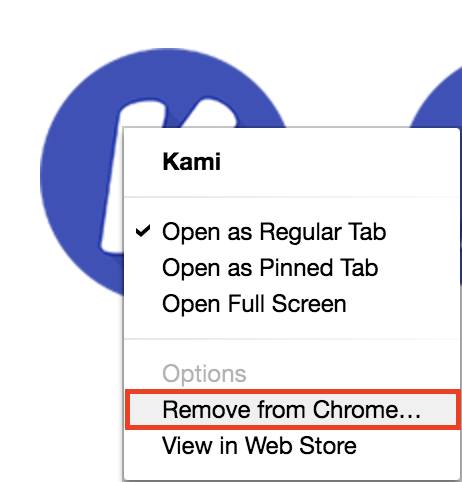 Go to chrome://apps/ and remove it by right clicking the Kami icon. Settings --> Manage Apps --> Options --> Disconnect from Drive.